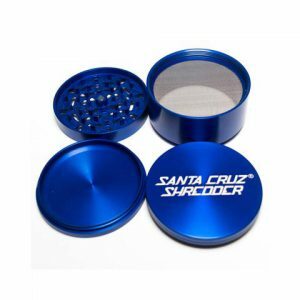 High quality machine-finished 4-piece grinder/sifter with grippy interludes around the edges for your hands to always find the perfect grasp when grinding. 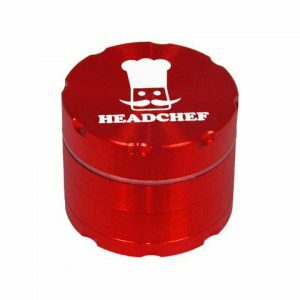 This Headchef Grinder features a high quality four part construction that allows you to get more out of your grind. The top component includes the grinding mechanism itself. The middle compartment collects the ground herb and the loose essential goodness is filtered through the mesh floor and into the collecting compartment at the bottom. 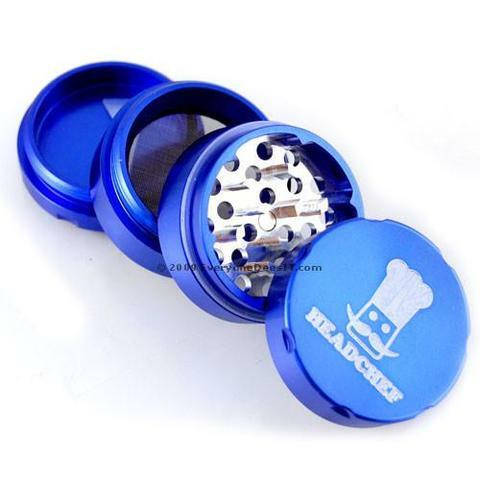 This Headchef Grinder features a built in sifter gradually separates the fine, well ground material from your dry herb into two separate compartments so you can easily gather and store your favorite consistency! This HeadChef Grinder features an ergonomic interlude grips on this piece means that you’ll never struggle to grind particualry dense material. You can get great leverage and grind your herb down perfectly. Be the head chef of your kitchen, even if it’s in the lounge.